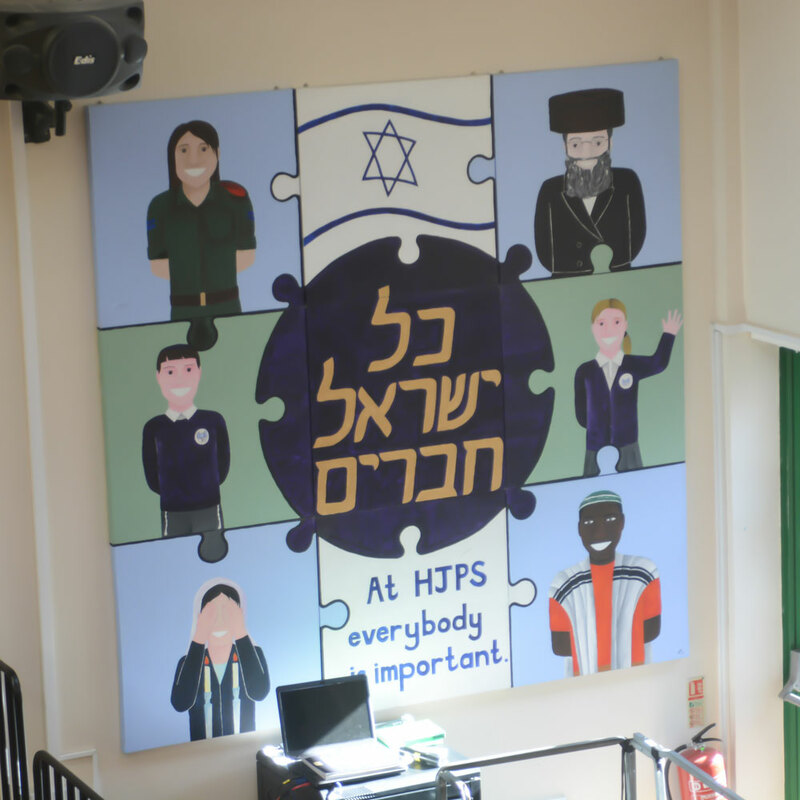 Hertsmere Jewish Primary School (HJPS) is a Modern Orthodox (United Synagogue) Jewish primary school. It is an over-subscribed, two-form entry voluntary aided school, which opened in 1999 with classes from Nursery to Year 6. Our school is part of the family of schools whose foundation body is the United Synagogue and the Religious Authority is the Office of the Chief Rabbi of the United Hebrew Congregations of the Commonwealth. We strive to connect our Jewish students and their families to vibrant orthodox Jewish life and Torah values and aim to engage them with the United Synagogue through its core values of Living, Learning and Caring. We aim to enrich Jewish family life through activities in an inclusive atmosphere. We welcome every Jew, create a sense of belonging and prepare our students for lifelong Jewish learning, spiritual growth and religious practice. Our teaching and learning inspires our Jewish students to engage actively with Jewish texts, to experience and participate in Jewish practice, and to connect with God through tefillah (prayer) and mitzvot (commandments and good deeds). All our students should be prepared to engage actively in lifelong learning, social and environmental action and consider their responsibilities as future citizens. We encourage each Jewish student to cultivate a love of, awareness of and responsibility to Jewish heritage and teachings and expect that they will feel confident and competent to participate in a United Synagogue service. We teach them to articulate confidently their Jewish identity whilst all our students are taught to be knowledgeable and respectful of the beliefs, customs and practices of others. Above all, our values are those of Modern Orthodox Judaism, with a strong belief in the centrality of Israel in Jewish life. We teach Ivrit as a modern foreign language, but also as a vehicle to link our Jewish heritage and practice, and to Israel.